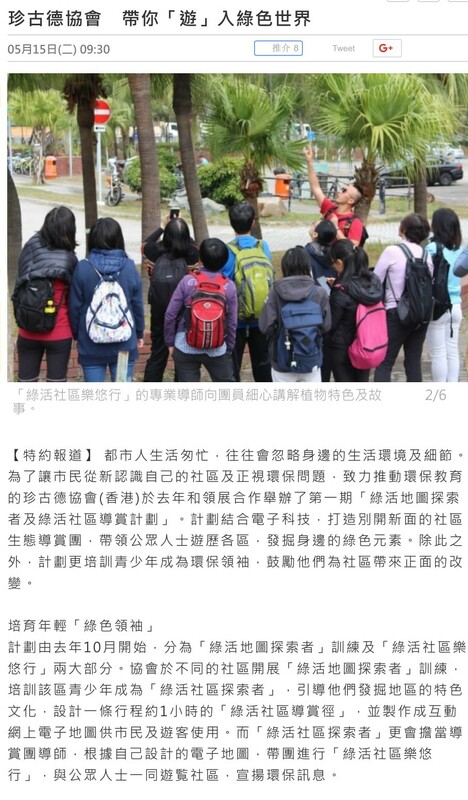 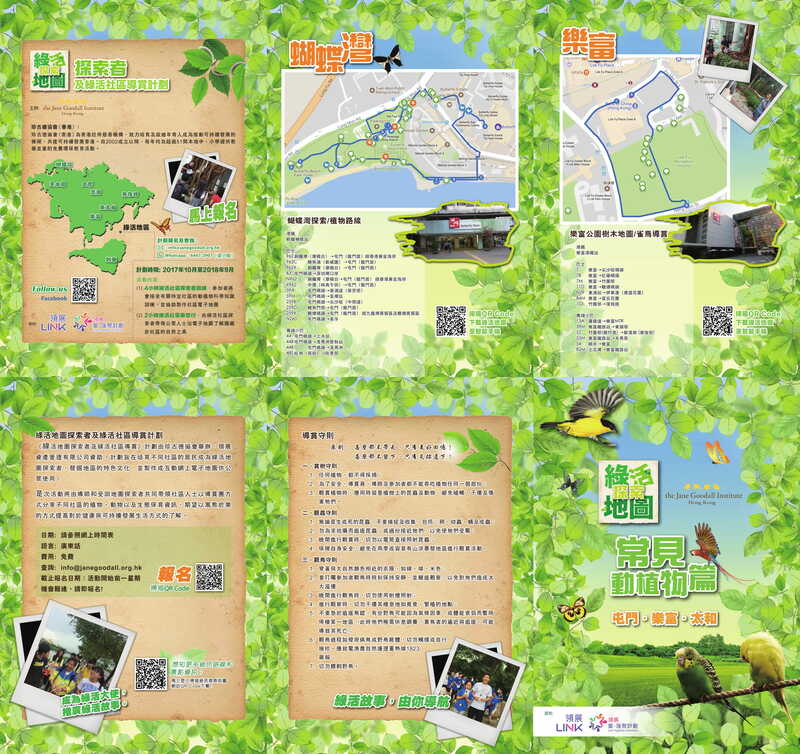 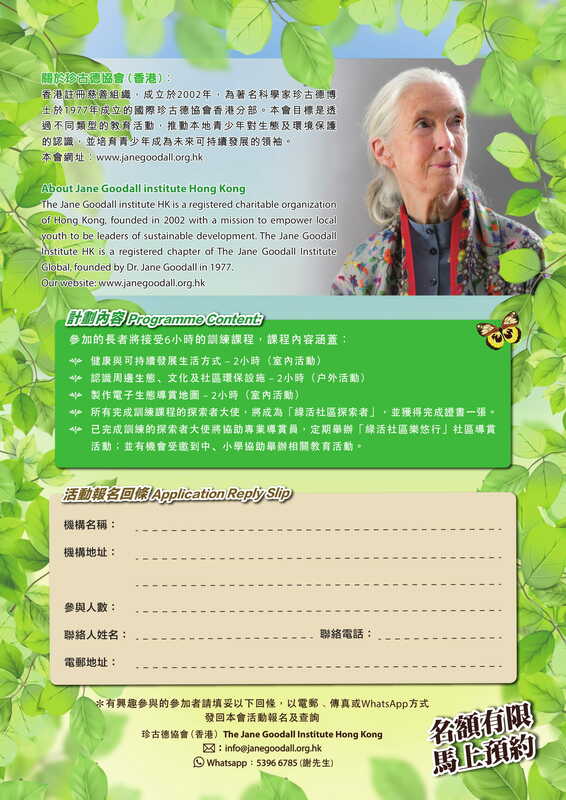 Organized by the Jane Goodall Institute (HK) and sponsored by Link Asset Managment Limited, the Green Community Builder aims to nurture residents’ incentives to become the explorers of green communities in their own district. 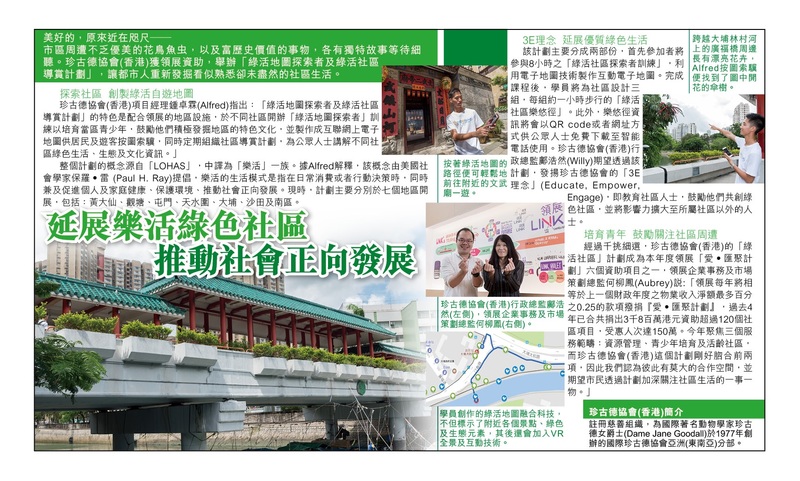 While exploring the unique culture of the district, residents can make an interactive online map for public use. 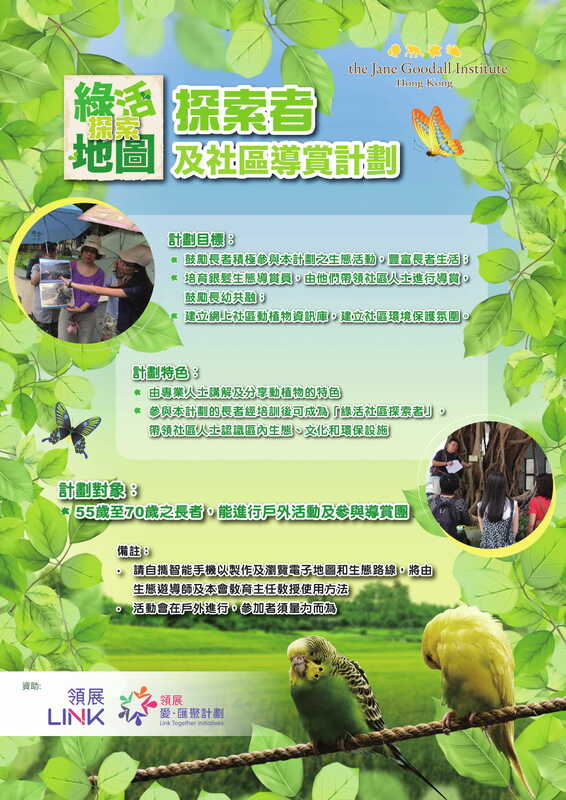 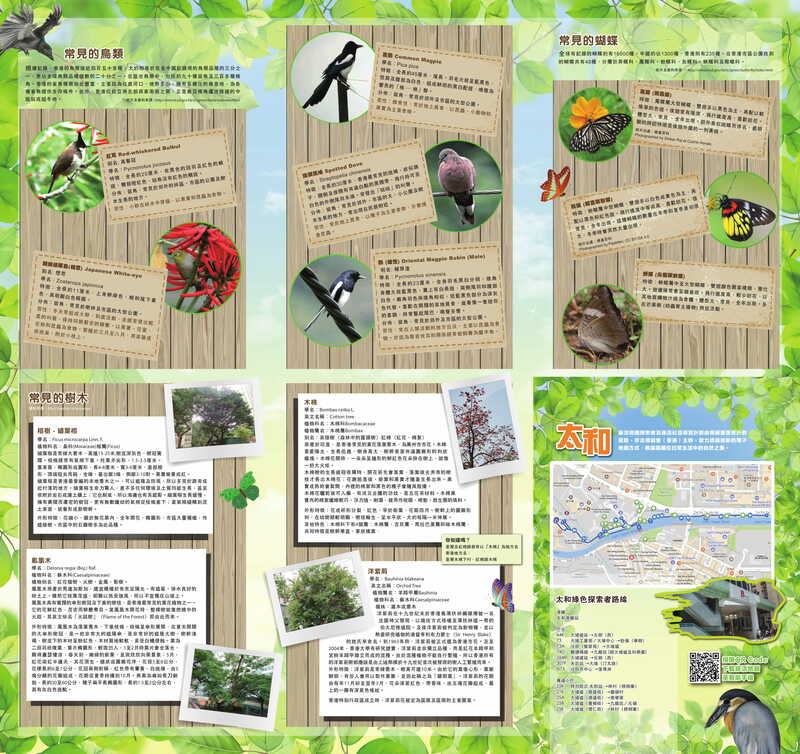 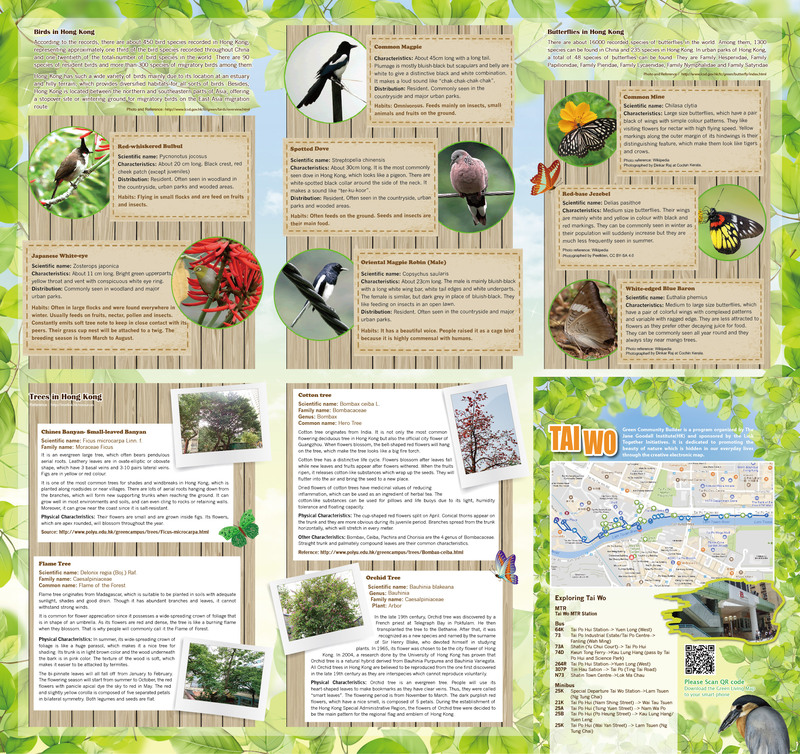 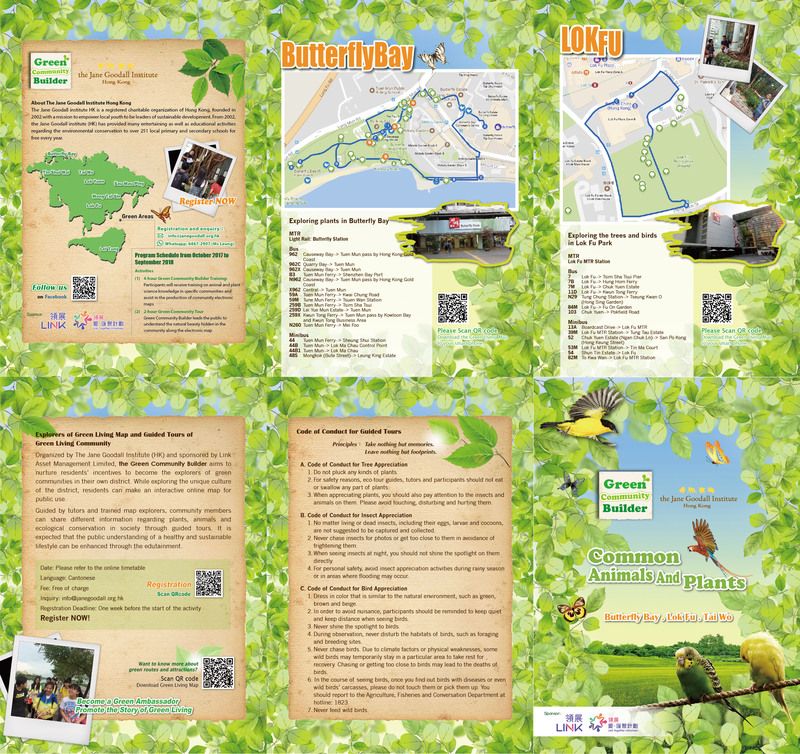 Guided by tutors and trained map explorers, community members can share different information regarding plants, animals and ecological conservation in society through guided tours. 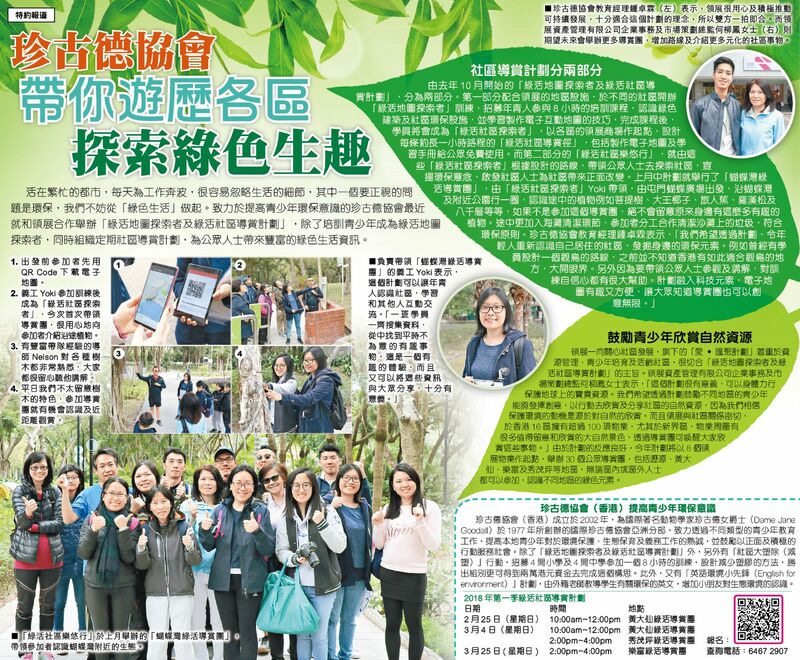 It is expected that the public understanding of a healthy and sustainable lifestyle can be enhanced through the edutainment.